Moondance is a contemporary work of art designed by renowned architect Stefan Antoni. 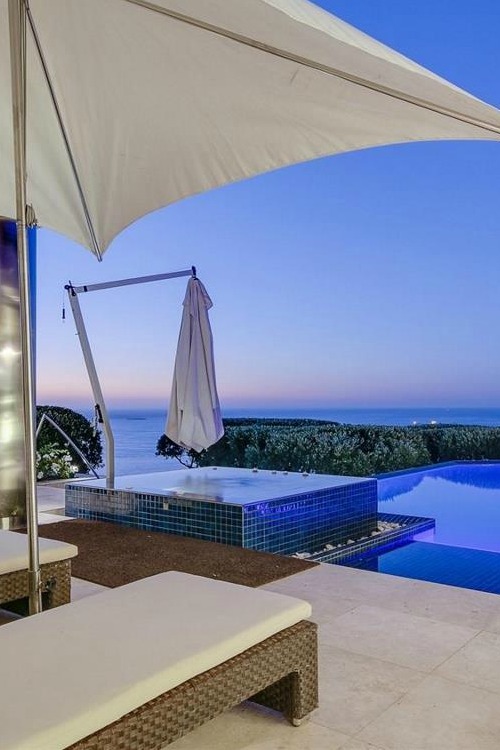 It is a luxury villa in Fresnaye boasting of exquisite views of the city as well as the Atlantic Ocean. 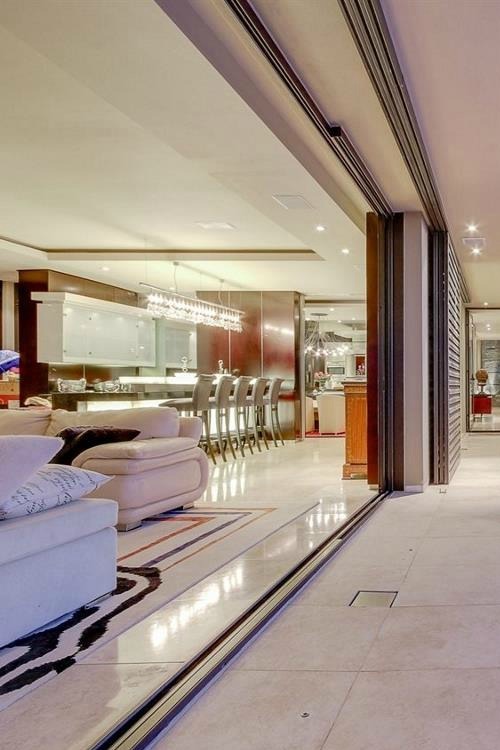 The opulent private residence in Cape Town offers the ultimate conveniences of a modern home. 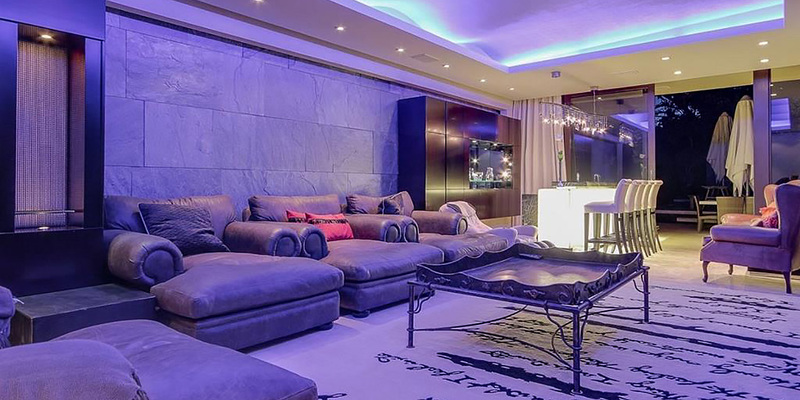 The house includes dramatic living areas with lavish furnishings as well as incredible lighting. 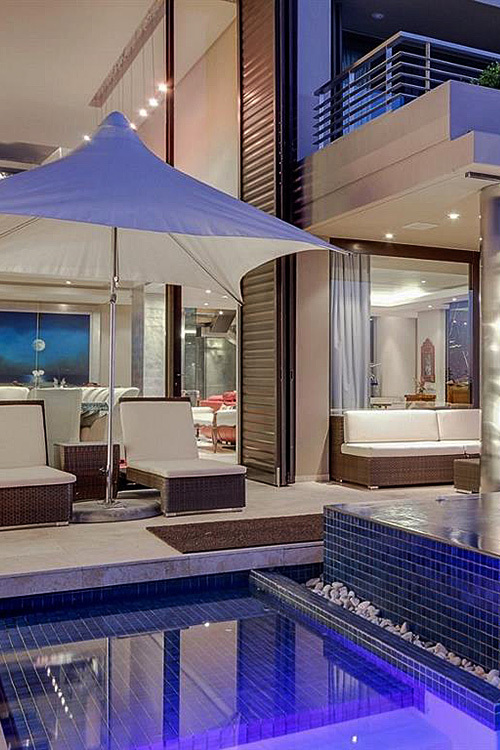 The elegant holiday home is situated within South Africa. The signature Stefan Antoni touch of playing with light and space is apparent in every corner of Moondance. 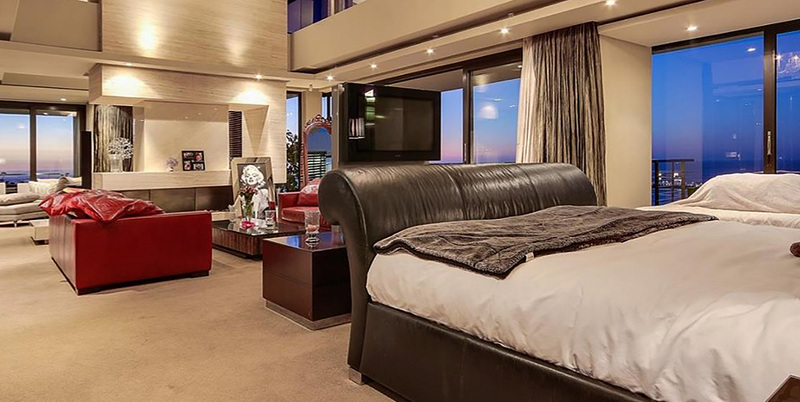 Not only that, the mansion elevates the standard of luxury living with extraordinary features that you will only find in the Cape Town villa. 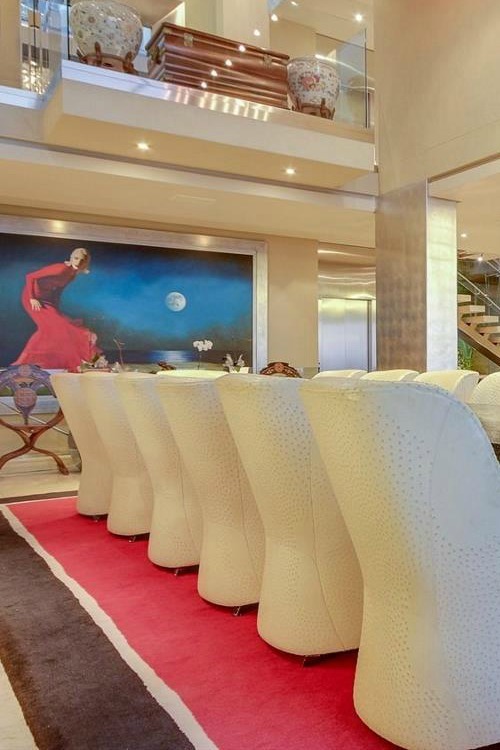 Moondance is a Fresnaye mansion along 50 Avenue St Bartholomew. 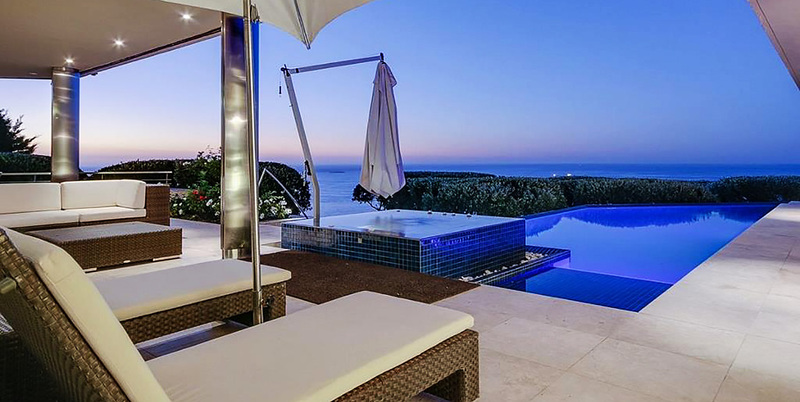 It is a beautiful luxury villa in one of Cape Town’s upscale neighborhoods with a panorama of the Atlantic Ocean. The house architecturally designed to delight the eyes with flowing indoor and outdoor spaces. 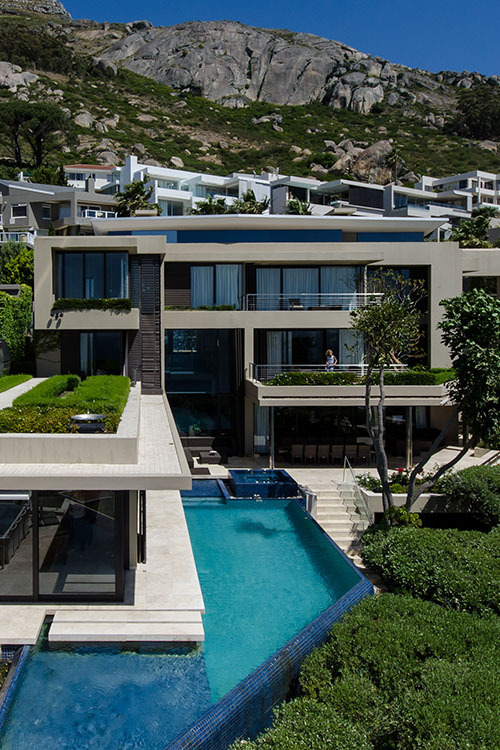 The haven designed by Stefan Antoni sitting on the slopes of Lion’s Head with encompassing views of the azure waters. Want to know the best part. Moondance is an architectural feat by Stefan Antoni positioned in a phenomenal setting. 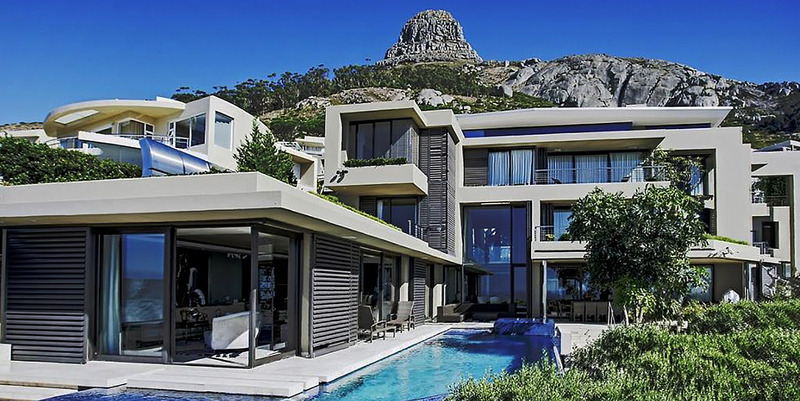 The Lion’s Head serves as the backdrop of the luxury villa. 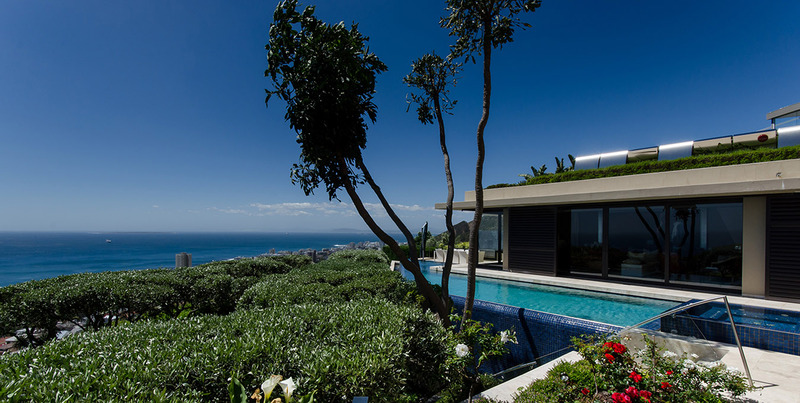 It is the peak between Table Mountain and Signal Hill surrounded by metropolitan suburbs such as Fresnaye. The Lion’s Head also boasts of awe-inspiring views of the cityscape as well as that of the Atlantic Ocean. When you stop and think about it Moondance is positioned in the most excellent location in Fresnaye. You will probably spend most of your time just looking at the scenery. You forget that you are living in the city because of the lush garden and the awesome vista of the coast. You do not have to go far to appreciate the pristine setting because you can set eyes on it while staying at Moondance. The indoor along with the outdoor living areas at Moondance are connected. You can easily access the different corners of the luxury villa because of its open and dynamic spaces. Each with a modern aesthetic that is dramatic as well as functional. The heated rim flow pool is just steps away from the inside and outside lounge areas. You can also have a glimpse of the living rooms even while in the pool or the Jacuzzi. You’ll find two splendid bars at Moondance. 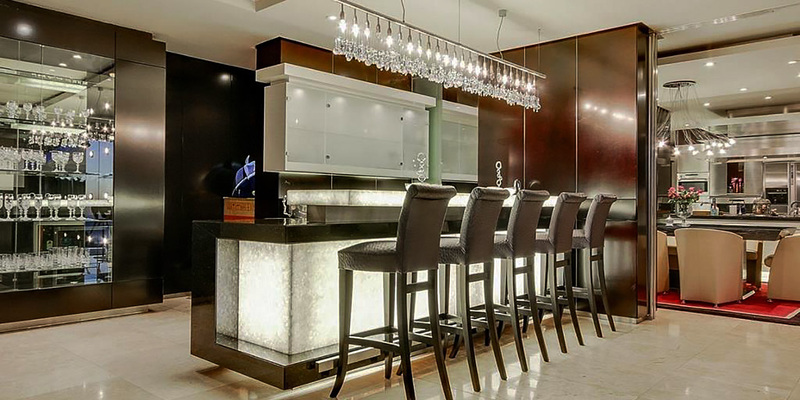 One of which includes a bar set with refined details along with a dazzling linear pendant lighting. It can be a place to share a drink or two and talk casually about what to do and where to go while on vacation in Cape Town. It’s an intimate spot within the grand abode where you can share stories at the end of the day after exploring the metropolis. The dining area at the Moondance Villa has a classic retro feel with a carpet in contrasting colors. The room with elements of deep coral shades includes a fascinating work of art neatly framed. 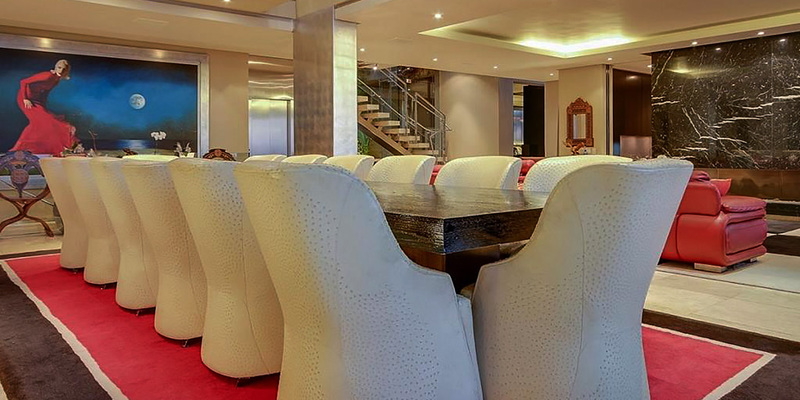 The 16-seater dining set includes a huge table and chairs in ostrich leather. As it turns out the bold and quirky color theme blends well with neural hues. 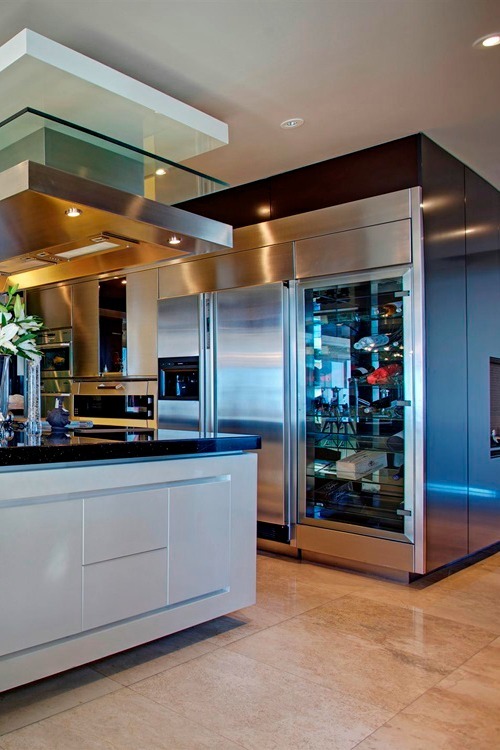 The chic contemporary kitchen at Moondance is fully equipped. The kitchen is adjacent to the dining area. You can serve appetizing dishes from this corner of the luxury villa. Or, if you want to, leave it in the hands of a master chef while on vacation in Cape Town. 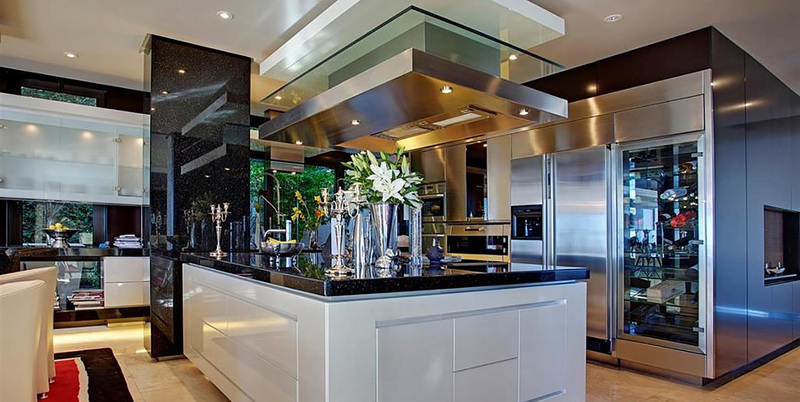 Either way the delightful kitchen offers modern conveniences that a culinary enthusiast will without a doubt have a pleasurable cooking experience. This living area at Moondance includes soft huge sofas with cushions. 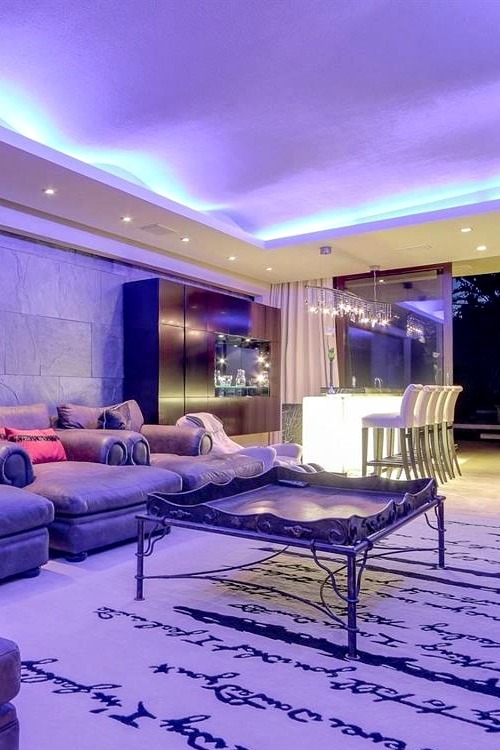 It is a lounge with great lighting along with a gorgeous center table. Take it easy and enjoy moments spent with dear friends and family at this spot in the luxury villa. 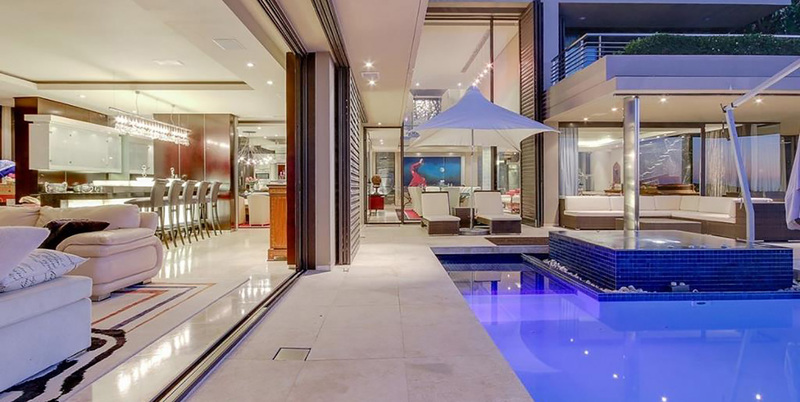 You can reconnect with each other and catch up with loved ones while staying at this magnificent house with plenty of space in Cape Town. The Moondance Villa has a myriad of distinctive features. Architect Stefan Antoni made sure that the house includes facilities and amenities that would make vacationing at this luxury villa an unforgettable experience. 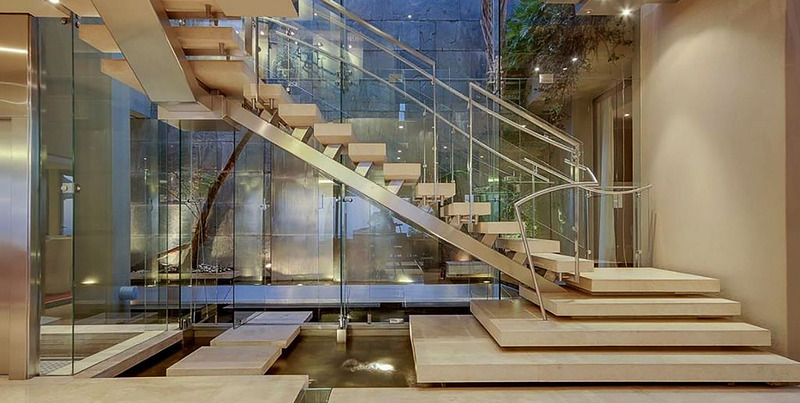 The contemporary flight of stairs is one of its remarkable qualities with its unique form and appearance. Furthermore, consider this. 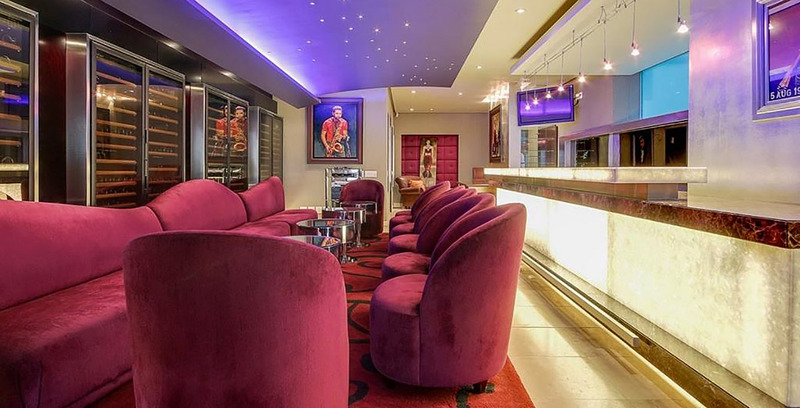 It has an indoor and outdoor koi pond, an HD surround sound cinema as well as an outdoor spit braai/pizza oven entertainment area. 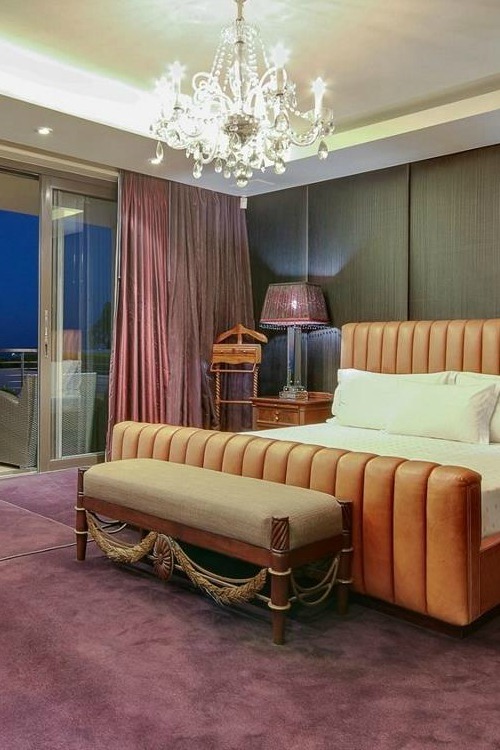 The master suite is so exquisite with glass walls and unparalleled views of Cape Town’s Atlantic Coast. The furnishings offer the greatest comfort along with a home entertainment system inside the bedroom. On the other corner is a lounge where you can laze about whenever you wish. The subtle shades of the interiors and the splash of color features understated contemporary elegance. There’s one more thing you need to know. It also includes a large walk in closet. The warm sitting room with a splendid view in the Moondance master suite has an eclectic style. The varying elements, textures, and patterns add to its charm bringing to life each statement piece. Mixing and matching classic and contemporary room decor that gives the living area a unique quality. 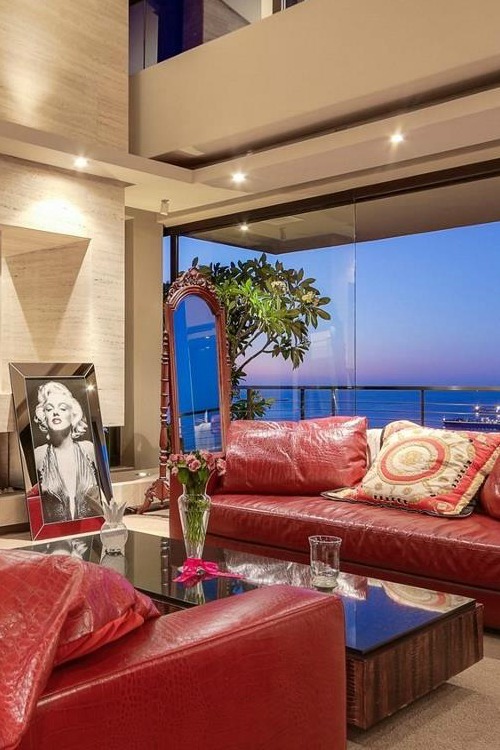 A framed image of Marilyn Monroe is the focal point. The neutral shades serves as a blank canvas and the red cushioned sofa brightens the room. 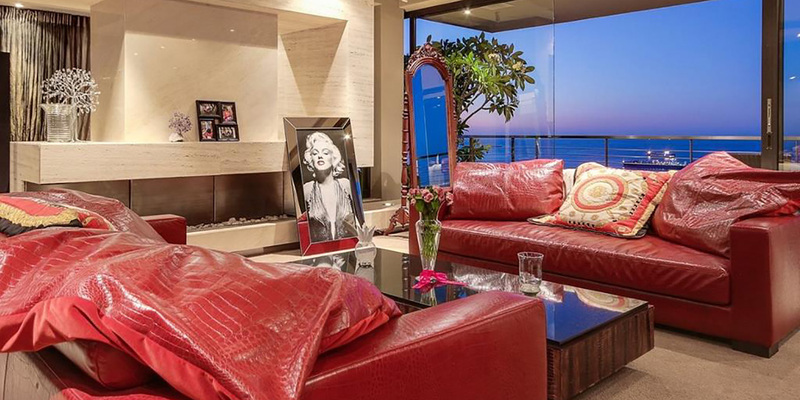 There are a total of four bedrooms in Moondance Villa in Fresnaye. Each of the living areas is spacious with a huge comfortable bed. This room in particular includes glass doors that open to a veranda. It is designed in eclectic fashion with an earth tone base in strong silhouettes and a combination of interesting colors. This part of the house is uncluttered and uncomplicated and a haven for relaxation with a terrific view. 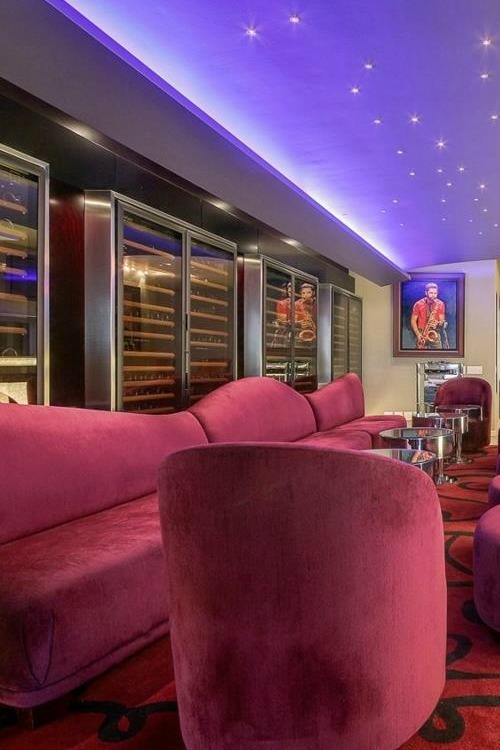 The under pool bar at Moondance includes a wine cellar. The decorative art on the walls and the popping shades of the furnishings make the living space vibrant. What’s more it has a full bar with underwater views. 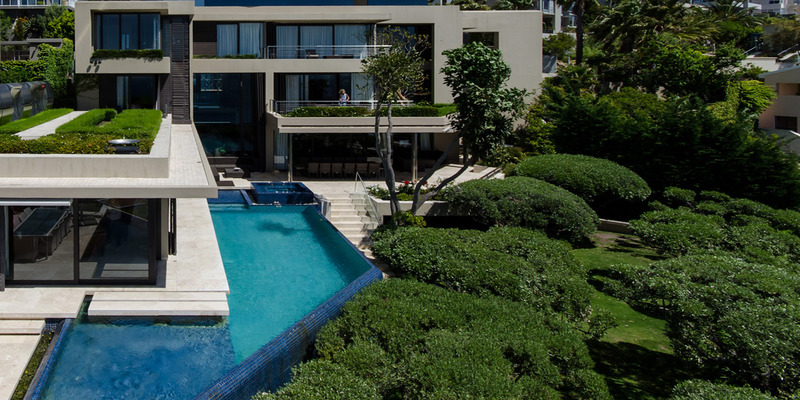 It’s an extraordinary luxury villa with splendid water features indoors as well as outdoors. You can spend time here after dinner with the rest of the family for a cocktail. Or you can also invite friends over for a drink. You’ll be motivated to work out when you see the spectacular view from the Moondance private gym. 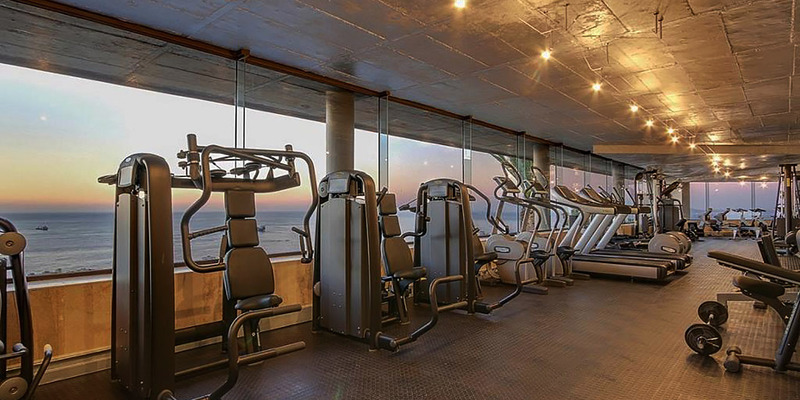 The spacious and fully equipped fitness area at the exclusive residence is considered as the largest on the Atlantic Seaboard. While walking or running on the treadmill you are also visually stimulated as you catch sight of the beautiful outdoors through the glass walls. Working out has never been this relaxing with an amazing vista of the coast. 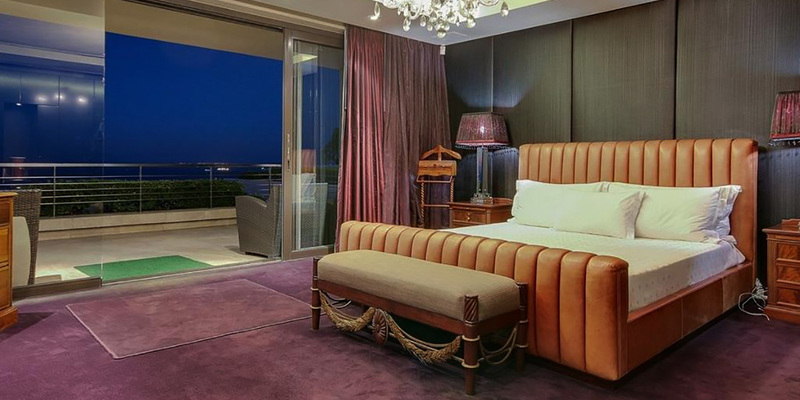 The Moondance Villa in Fresnaye is a significant property designed by Stefan Antoni. 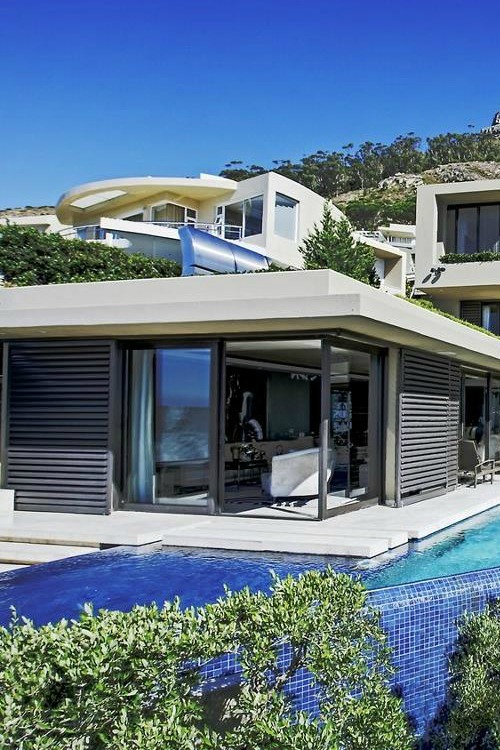 Situated in an exceptional setting in Cape Town where you will come across luxurious real estate along the Atlantic Coast. From the fashionable suburban slopes where Moondance rests it will just take you minutes to reach the V&A Waterfront. What’s more you can also visit the galleries and museums as well as the city center within the district. Think of it this way. The Moondance Villa designed by Stefan Antoni is a wonderful seaside retreat bringing you the best of the coastal lifestyle as well as that of city living. 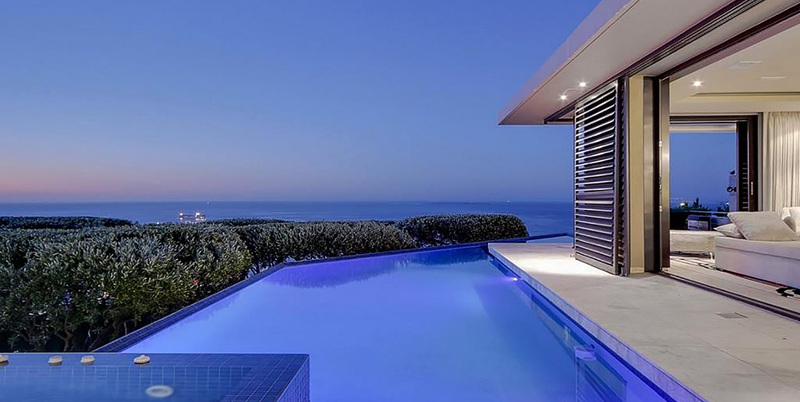 You will never find a Cape Town home in South Africa as stunning as this with picturesque scenery. 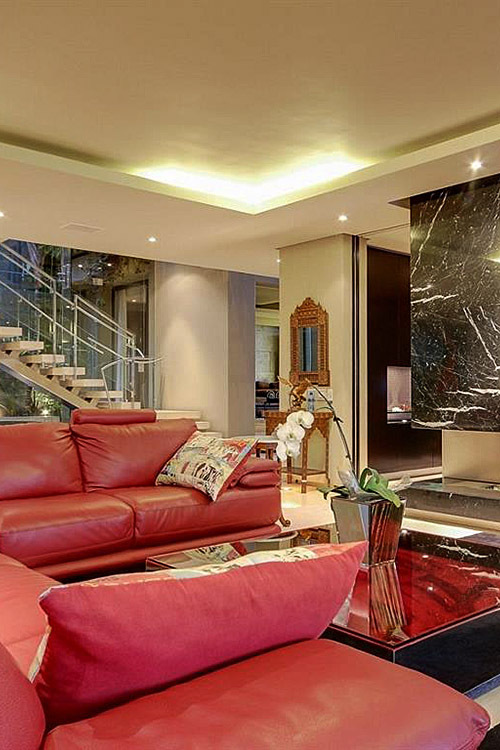 The Fresnaye mansion is also near Sea Point’s main road where you will find clubs, bars, and restaurants.